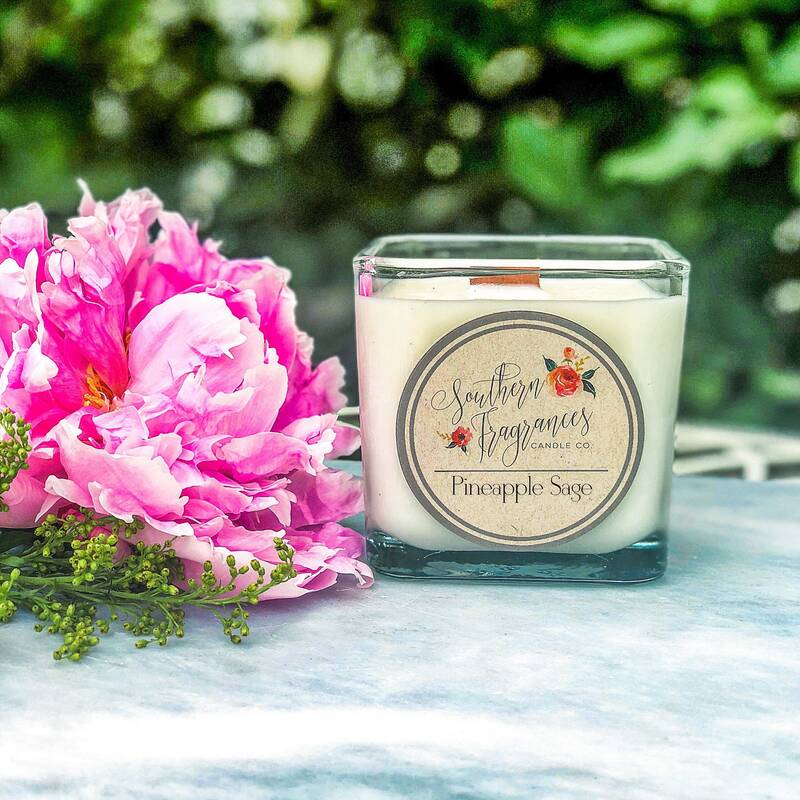 An unexpected and exotic blend with sweet pineapple and aromatic sage. 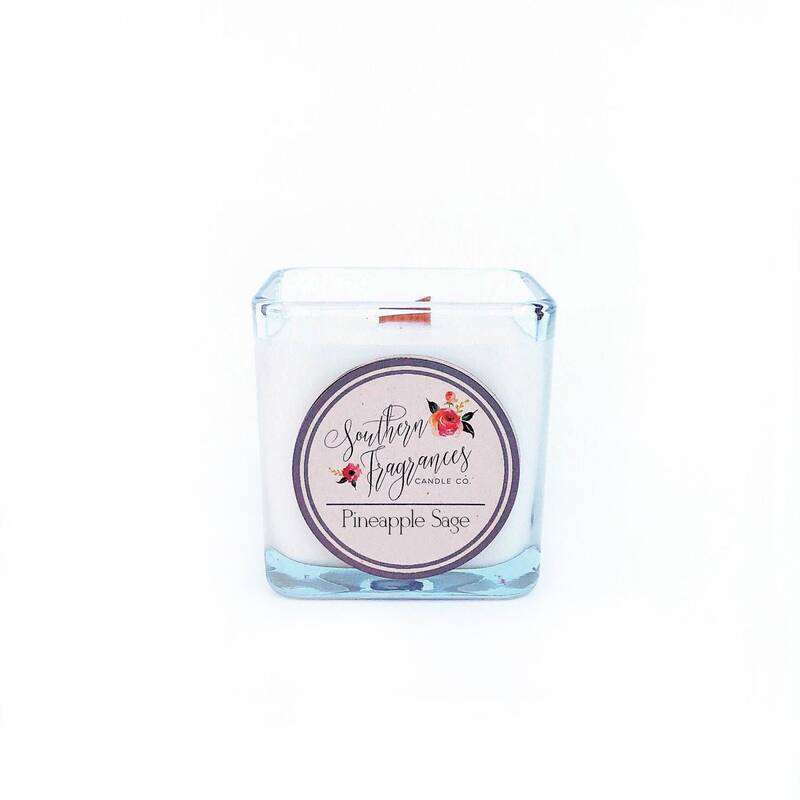 12 oz Square Glass Jar candles are clear glass containers with our signature label on the side. These contemporary square glass jars are simple in style and will work with any home decor. Instantly cozify any room with your favorite scent and the warm glow of candlelight. Scatter them throughout your home give each room a different scent personality or gift them to your best friend or co-worker. All glass jars come shipped in a gift box and are ready to give as the perfect gift to that special someone. Handcrafted in Charlotte, North Carolina with 100% soy derived from American-grown soy beans for an eco-friendly, clean burn. 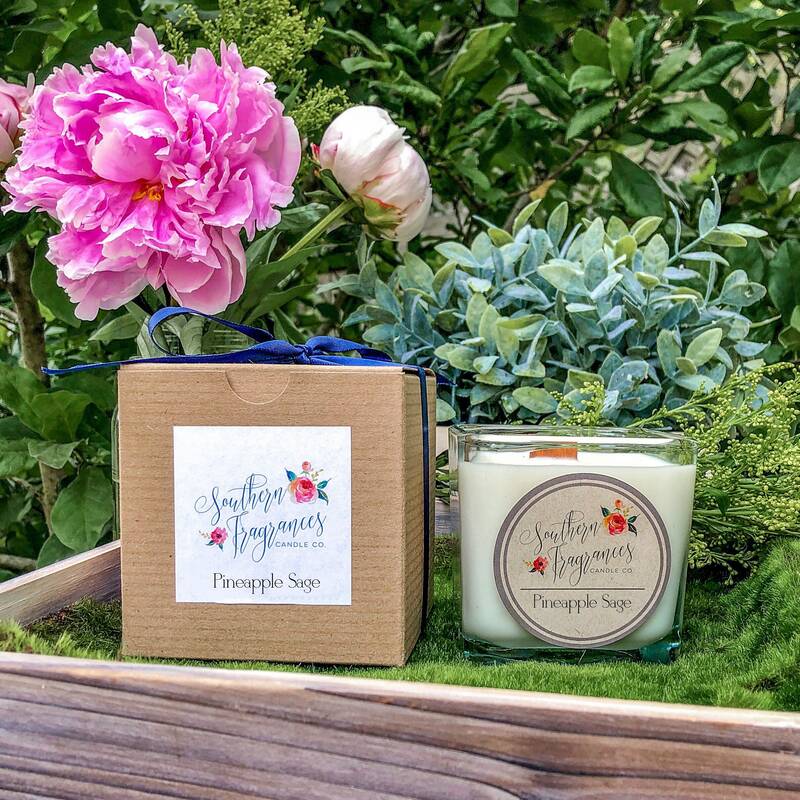 Each candle is completed with premium grade fragrance oil and our signature organic wooden wicks that create a soft crackling sound when lit. All fragrances are phthalate free. Because our wooden wicks are made of organic untreated material, in rare cases you may find your candle extinguishes after you light it. If this occurs, simply try relighting it until it catches ( In rare cases it may take multiple lights). The wick needs to be lit at the bottom of wick where it meets the top of the wax. Tilting the candle to allow some of the melted wax to move away from the center of the wick also helps. With all candles - the first burn is the most important! The entire top layer of wax should be completely melted to the edge of its container. If the wax is not allowed to melt from edge to edge of the jar or tin, it will create a “memory ring” or tunnel, especially if this is the first time the candle is lit. Once a candle has this “memory ring,” it will continue to tunnel and to burn that way for the life of the candle. Trimming the wick is easy! All you need to do is break off the charred pieces of wick off with your finger or a wick trimmer. Candle burning times will vary slightly depending on the placement of your candle. Drafty areas will affect candle burning times as candles will burn slightly quicker. Place candle holders on a stable, heat-resistant surface that is sturdy. A candle should not be burned for more than four hours at a time. Payments for items will be made upon ordering. Cancellations may be made prior to the item being shipped. Custom Orders are always accepted - please contact me directly for more detailed information. All orders are typically ready to ship in 1 -2 business days. (Typical business days are Monday - Friday) Custom Orders may take longer depending on the quantity / complexity of the order. In the event it will take longer than 1 - 2 business days for your order to ship, I will be in contact with the purchaser and keep them up to date on their shipping status. 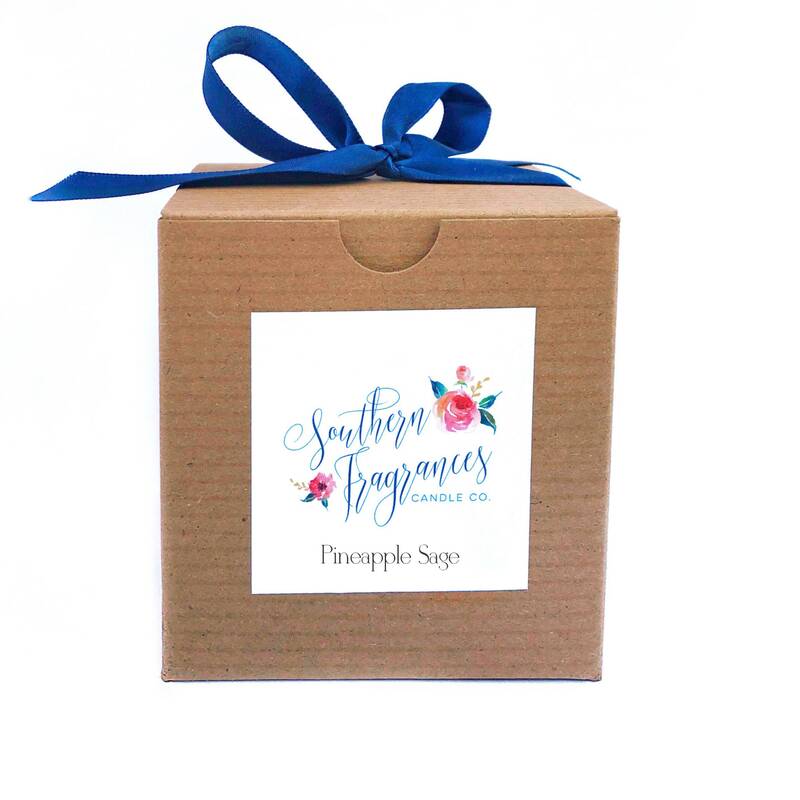 Southern Fragrances will accept returns as long as the product is able to be resold. Meaning, the candle has not been used, the wick has not been lit and all wax is in good condition. Purchaser will be responsible for return shipping costs. With all candles - the first burn is the most important! The entire top layer of wax should be completely melted to the edge of its container. If the wax is not allowed to liquefy or to melt from edge to edge of the jar or tin, it will create a “memory ring,” especially if this is the first time the candle is lit. Once a candle has this “memory ring,” it will continue to tunnel and to burn that way for the life of the candle. 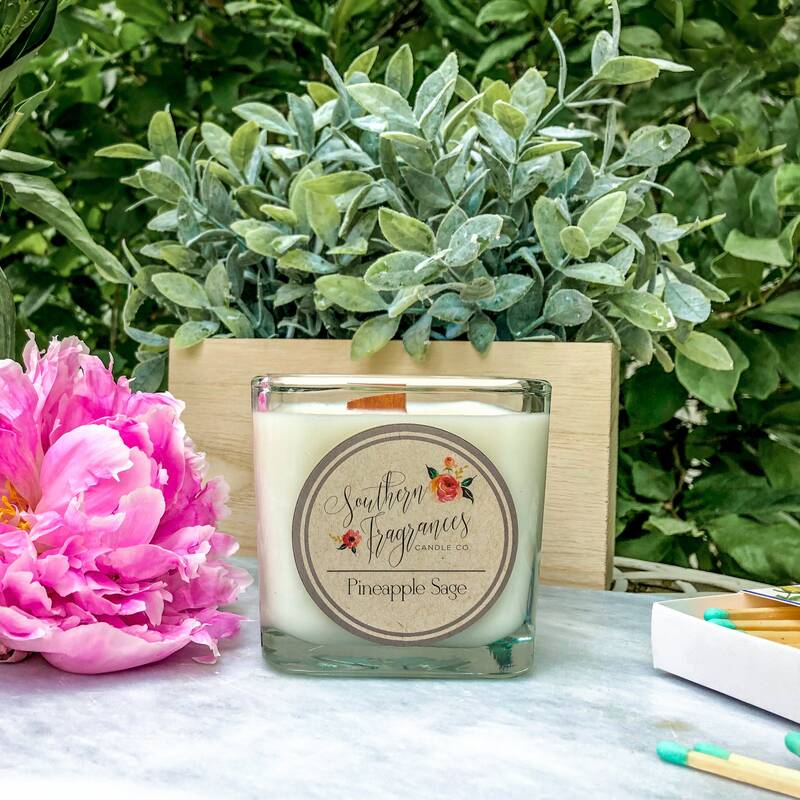 © 2019 Southern Fragrances Candle Co.